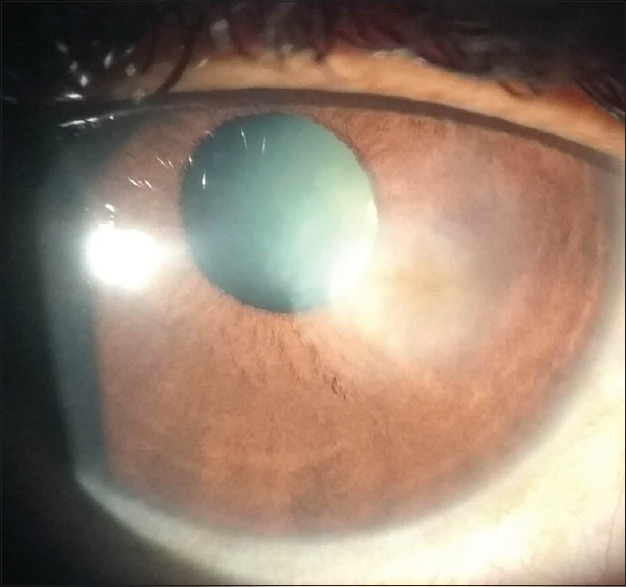 Mycotic keratitis accounts for approximately 50% of all microbial keratitis, depending upon the geographic location, particularly tropical areas. Fungi thrive in hot and humid environment and rich in vegetable matter and organic decay. Filamentary fungi are predominant in tropical and subtropical climates. Treatment of fungal corneal ulcers is challenging because of its delay in seeking medical attention and poor antifungal drug penetration. Culture isolation of the causative fungus takes weeks; hence, the treatment is started based on clinical diagnosis and detecting the fungus in potassium hydroxide (KOH) mounting rather than waiting for culture report. Early diagnosis and treatment are important in preventing further complications. It is caused by Aspergillus spp., Fusarium spp., Candida spp., Rhizopus, and other fungi. 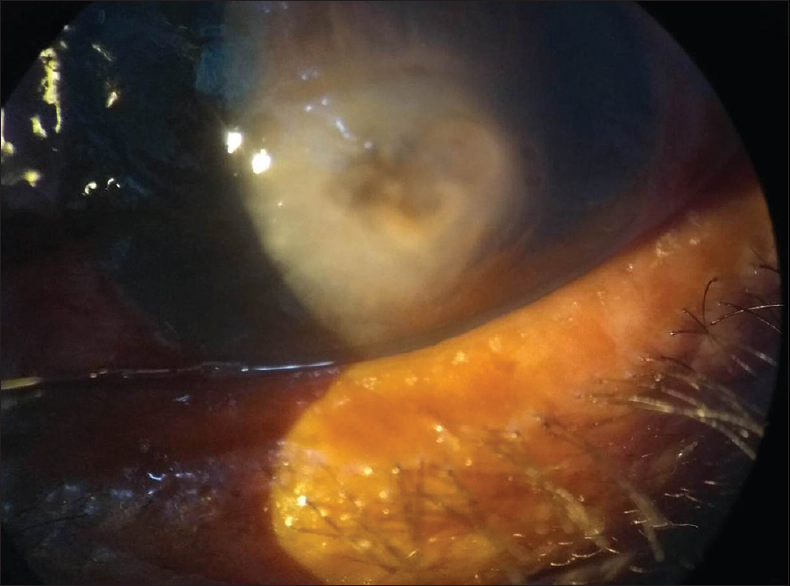 Because of the poor ocular penetration of antifungals, most cases finally require a therapeutic penetrating keratoplasty (PKP). The typical feature of fungal infection is slow onset and gradual progression, where signs are much more than the symptoms. Small satellite lesions around the ulcer are a common feature of fungal keratitis. Immobile hypopyon is often present. Keratitis due to filamentous fungi is believed to be occurred following trauma, the key predisposing factor in healthy young males, engaged in agricultural or other outdoor activities. Environmental factors also (humidity, rainfall, and wind) greatly influence the occurrence of fungal keratitis. Reported studies from northern part of the country demonstrated Aspergillus as the most common fungus in mycotic corneal ulcers, whereas Fusarium was reported to be the most common fungus in southern part of the country. Articles from foreign countries demonstrated that Candida was the most common agent isolated from fungal ulcer. Our study was a prospective, observational study conducted at the Department of Ophthalmology, ANIIMS, Port Blair, Andaman and Nicobar Islands, for a period of 1 year from June 2016 to June 2017. 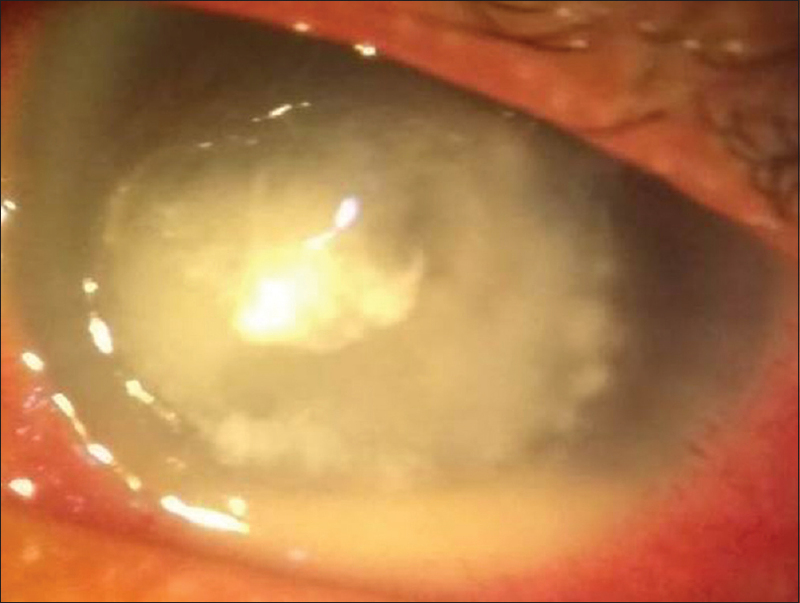 All patients with a clinical diagnosis of fungal corneal ulcer based on the history and the slit-lamp examination were included after obtaining written consent. Features considered in making the diagnosis of fungal corneal ulcer were history of injury with a vegetative matter or foreign body and clinical signs and symptoms of fungal ulcer, i.e., firm, dry elevated central ulcer with satellite lesion with immobile hypopyon and immune ring [Figure 1]. Children who are not cooperative for taking the corneal scrapings were excluded from the study. Forty patients who were clinically diagnosed to have fungal corneal ulcer based on the findings described above were included in the study. After a detailed ocular examination and applying proparacaine (0.5% eye drop), corneal scrapings were collected using sterile 26-gauge needle. The material was directly inoculated onto the surface of Sabouraud's dextrose agar and then into the blood agar. In all cases, we used two sets of plain Sabouraud's dextrose agar without antibiotics/actidione and one set of blood agar to avoid bias. Materials obtained then sent for 10% KOH wet mount and Gram staining. The smear was examined under high power of microscope. One Sabouraud's dextrose agar was incubated at 37°C and another at 25°C. The culture was inspected for growth till 3 weeks. If no growth is seen after 3 weeks, it is reported as culture negative. The treatment protocol we followed was topical natamycin (5%) eye drop applied hourly for filamentous fungus. Fortified voriconazole 1 drop every hourly was used for large and deep ulcers. Topical azole was used for yeasts. Broad-spectrum moxifloxacin (0.5%) 1 drop every hourly was added to all along with homatropine eye drop thrice daily. Systemic antifungals (tablet fluconazole 150 mg twice daily) were added when the ulcer was large, deep, and associated with hypopyon for maximum of 12 weeks. Intrastomal voriconazole (0.1 ml) was given to all presented with deep ulcer. Vitamin C (500 mg QID) and capsule doxycycline (100 mg BD) were added to prevent stromal melting. Antiglaucoma drop timolol (0.5%) was added to all as precautionary measures after excluding respiratory and cardiac problems. Complete blood count, sugar, and liver and renal function were done in all cases. Throughout the period, systemic parameters including blood pressure, pulse, respiration, and temperature were monitored. 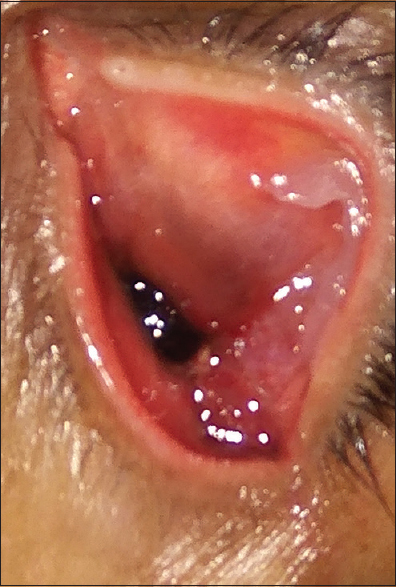 Ulcers those were getting worse even to the above treatment regimen and those presented with total corneal ulcer, desmetocele formation [Figure 2], and perforated ulcer were referred to Mainland for keratoplasty. The response to treatment was analyzed based on the following parameters: (1) improvement/worsening in the symptoms, size and depth of the ulcer, its margins, and surrounding cornea along with anterior chamber reaction; (2) the final result being recorded as healed or not healed ulcer; (3) complications such as total ulceration, descemetocele formation, perforation, endophthalmitis, or panophthalmitis; (4) need for surgical interventions such as enucleation or evisceration, therapeutic keratoplasty (TKP), and PKP. Forty patients of 40 eyes with a clinical diagnosis of fungal corneal ulcer were included in the study. The study was done based on age and gender distribution. [Table 1] shows that majority of the patients belonged to the age group of 51–60 years, with males being predominated (n = 36). 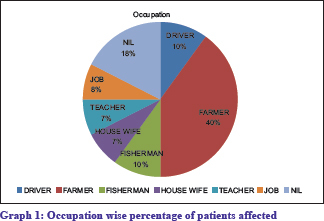 [Table 2] and [Graph 1] shows that most of the patients were farmers. From [Table 3], it is observed that among various causative factors, trauma with plant material was the highest. [Table 4] represents number of clinically presenting cases. 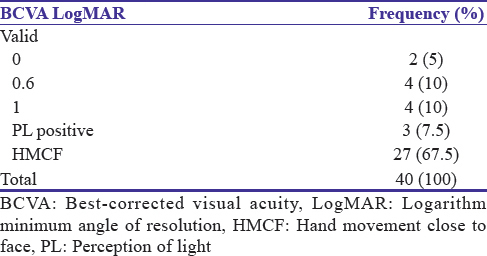 [Table 5] reveals that most of the patients (n = 27) presented with distance visual acuity hand movement close to face, with perception of ray being present in all four quadrants. Intraocular pressure was normal digitally in all cases. KOH wet mount showed filamentous fungi in 34 cases (85%). The KOH results were compared and analyzed with the results of the culture. Aspergillus fumigatus [Figure 3]a, Aspergillus flavus [Figure 3]c, and Fusarium spp. [[Figure 3]b, LPCB mount], all filamentous fungi were seen in KOH wet mount [Table 6]. Gram staining also showed septate hyphae in 6 (15%) cases. [Figure 3]d shows the Gram staining-positive cases. Fungal growth in Sabouraud's dextrose agar was 100% and [Table 7] reveals that the culture-positive (Sabouraud's dextrose agar) A. fumigatus was seen N = 24 (60%) [Figure 3]e, A. flavus [Figure 3]g N = 10 (25%), Fusarium spp. N = 1 (2.5%) [Figure 3]f, and mixed growth N = 5 (12.5%) [Figure 3]h. Mucor was found in the mixed growth. 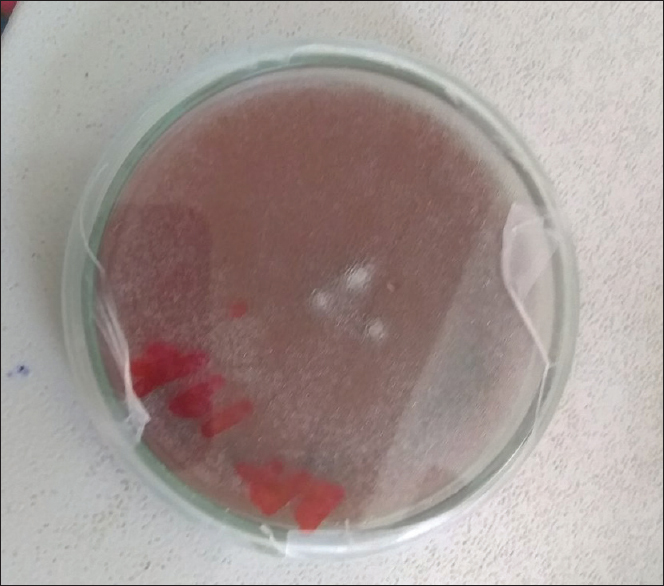 In blood agar, growth was found in 6 (15%) cases [Figure 4]. It was found that of the 34 KOH-positive cases, fungal growth by culture was yielded in all cases. The sensitivity of detection of a fungus by KOH preparation was found to be 85%. Thirty-four (85%) cases responded well to the treatment and healed during follow-up without any complication; six (20%) cases were not responding to the treatment protocol. Total enucleation [Figure 5] was seen in N = 7 (17.5%). Artificial eye was prescribed later on when wound became healthy [Figure 6]. In Mainland, TPK was done in N = 7 (17.5%) cases [Figure 7] and later on PKP was done in four cases [Figure 8] and [Table 8]. Two patients developed opacification [Figure 9] and had drastic visual improvement (from 6/60 to 6/12 with correction 2.25 Dcyl= Diopter cylindrical at 90 degree). No patients developed raised intraocular pressure. Six patients who did not come for follow-up were all KOH-positive patients. Mycotic keratitis is the second most common reason for corneal blindness in developing countries. Various published reports indicate that mycotic keratitis accounts for 6%–50% of all cases of ulcerative keratitis., This study found that fungal corneal ulcer was more common in male (n = 36) than female (n = 4), similar to majority of the reported cases. One such study in Oman reported that 59.37% were male, and in Northern India, it was 68%. Direct microscopic detection by KOH mount is a most valuable and rapid diagnostic tool in the diagnosis of fungal corneal ulcers. The sensitivity of KOH preparation has been found to be variable ranging between 33% and 94% as reported by various studies. The sensitivity of KOH preparation in our study was 100%. In another study done in Iran, it was found to be 71.4%. In a study by Bandyopadhyay et al., the sensitivity was 98.3% and specificity was 98.5%. The fungal culture positivity was 100% in our study. Bandyopadhyay et al. reported that 72.9% corneal ulcers were culture positive. Our study reported that A. fumigatus spp. is the most common organism. In a study by Gugnani et al., the most common isolate was Aspergillus followed by Fusarium. Aspergillus was the predominant isolate in many other studies., In a published study, Punia et al. reported that 59.09% were Aspergillus and 15.9% were Fusarium. However, Fusarium was found to be the most common in some other studies done in South India, and some foreign countries such as Oman, Paraguay, Hong Kong, and Singapore., Candida was the most common isolate identified in a study from the USA. These differences in the fungal isolates could be attributed to the different climatic conditions, which favor the growth. The treatment we followed was topical 5% natamycin eye drop applied hourly for all cases, followed by culture report. Among the clinically diagnosed fungal corneal ulcer cases, 100% was found to be culture positive. The sensitivity of KOH preparation was 85%. A. fumigatus was the predominant fungus isolated. The response to the standard treatment protocol was good. The key predisposing factors were males, especially engaged in agricultural or other outdoor works, traumatizing agents which can be of plant or animal origin. Environmental factors such as humidity, rainfall, and wind may also greatly influence the occurrence of fungal keratitis. Vemuganti GK, Garg P, Gopinathan U, Naduvilath TJ, John RK, Buddi R, et al. Evaluation of agent and host factors in progression of mycotic keratitis: A histologic and microbiologic study of 167 corneal buttons. Ophthalmology 2002;109:1538-46. Punia RS, Kundu R, Chander J, Arya SK, Handa U, Mohan H, et al. Spectrum of fungal keratitis: Clinicopathologic study of 44 cases. Int J Ophthalmol 2014;7:114-7. Bharathi MJ, Ramakrishnan R, Vasu S, Meenakshi R, Palaniappan R. Epidemiological characteristics and laboratory diagnosis of fungal keratitis. A three-year study. Indian J Ophthalmol 2003;51:315-21. Chang HY, Chodosh J. Diagnostic and therapeutic considerations in fungal keratitis. Int Ophthalmol Clin 2011;51:33-42. Thomas PA. Fungal infections of the cornea. Eye (Lond) 2003;17:852-62. Rautaraya B, Sharma S, Kar S, Das S, Sahu SK. 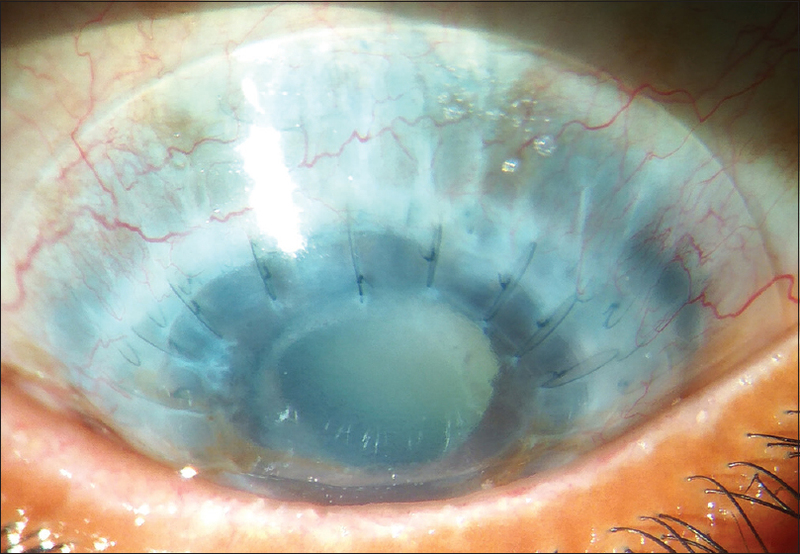 Diagnosis and treatment outcome of mycotic keratitis at a tertiary eye care center in Eastern India. BMC Ophthalmol 2011;11:39. Keay LJ, Gower EW, Iovieno A, Oechsler RA, Alfonso EC, Matoba A, et al. Clinical and microbiological characteristics of fungal keratitis in the United States, 2001-2007: A multicenter study. Ophthalmology 2011;118:920-6. Shah A, Sachdev A, Coggon D, Hossain P. Geographic variations in microbial keratitis: An analysis of the peer-reviewed literature. Br J Ophthalmol 2011;95:762-7. Chander J, Singla N, Agnihotri N, Arya SK, Deep A. Keratomycosis in and around Chandigarh: A five-year study from a North Indian tertiary care hospital. Indian J Pathol Microbiol 2008;51:304-6. Gower EW, Keay LJ, Oechsler RA, Iovieno A, Alfonso EC, Jones DB, et al. Trends in fungal keratitis in the United States, 2001 to 2007. Ophthalmology 2010;117:2263-7. Idiculla T, Zachariah G, Keshav B, Basu S. A retrospective study of fungal corneal ulcers in the South Sharqiyah region in Oman. Sultan Qaboos Univ Med J 2009;9:59-62. Katz NN, Wadud SA, Ayazuddin M. Corneal ulcer disease in Bangladesh. Ann Ophthalmol 1983;15:834-6. Chowdhary A, Singh K. Spectrum of fungal keratitis in North India. Cornea 2005;24:8-15. Sharma S, Silverberg M, Mehta P, Gopinathan U, Agrawal V, Naduvilath TJ, et al. 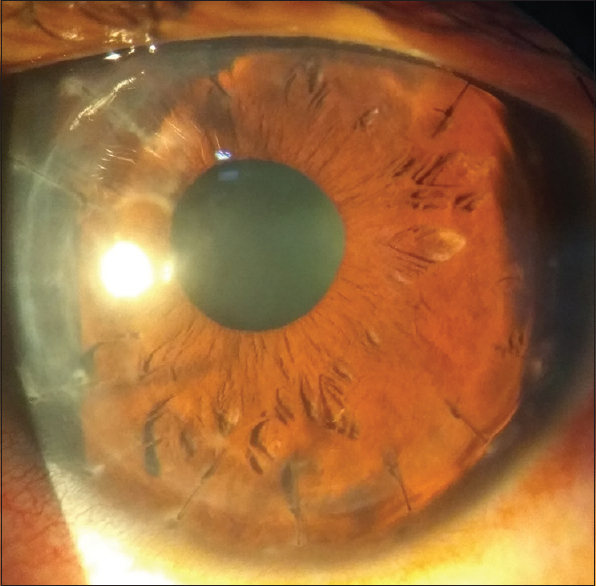 Early diagnosis of mycotic keratitis: Predictive value of potassium hydroxide preparation. Indian J Ophthalmol 1998;46:31-5. Bandyopadhyay S, Das D, Mondal KK, Ghanta AK, Purkrit SK, Bhasrar R, et al. Epidemiology and laboratory diagnosis of fungal corneal ulcer in the Sundarban region of West Bengal, Eastern India. Nepal J Ophthalmol 2012;4:29-36. Gugnani HC, Talwar RS, Njoku-Obi AN, Kodilinye HC. Mycotic keratitis in Nigeria. A study of 21 cases. Br J Ophthalmol 1976;60:607-13. Rosa RH Jr., Miller D, Alfonso EC. The changing spectrum of fungal keratitis in South Florida. Ophthalmology 1994;101:1005-13. 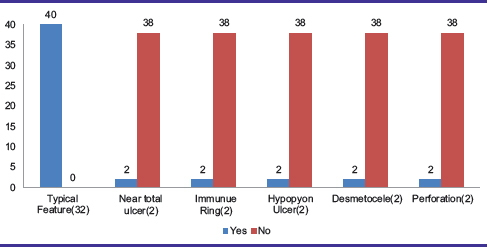 Bashir G, Shah A, Thokar MA, Rashid S, Shakeel S. Bacterial and fungal profile of corneal ulcers – a prospective study. Indian J Pathol Microbiol 2005;48:273-7. Tanure MA, Cohen EJ, Sudesh S, Rapuano CJ, Laibson PR. Spectrum of fungal keratitis at Wills Eye Hospital, Philadelphia, Pennsylvania. Cornea 2000;19:307-12. Tilak R, Singh A, Maurya OP, Chandra A, Tilak V, Gulati AK, et al. 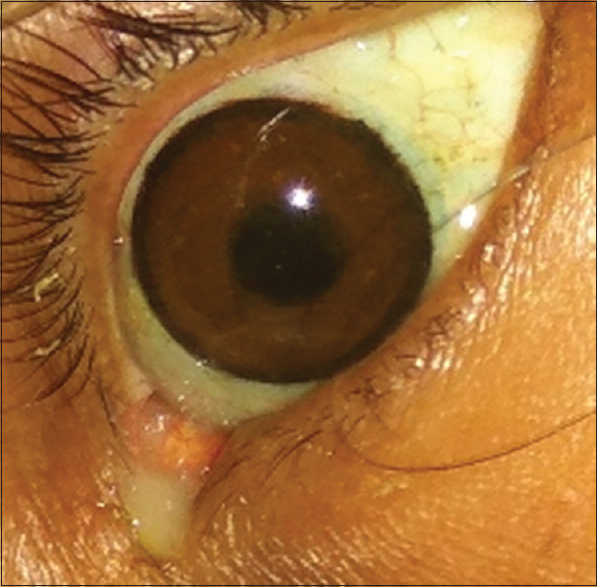 Mycotic keratitis in India: A five-year retrospective study. J Infect Dev Ctries 2010;4:171-4.